With the FRA0261 and FRA0100 models, specially designed for the medical industry, the imaging expert FRAMOS offers new low-power 1MP and 2MP standard sensors for endoscopes and small-size camera modules. The use of high-resolution Full-HD CMOS sensors ensure the superb image quality and fast frame rates at low prices with guaranteed, long-term availability. For medical endoscope manufacturers, three criteria are particularly important when selecting the right image sensors: Minimal size with high resolution, long-term availability and an optimal price to performance ratio. The technological change from CCD to CMOS sensors also offers huge opportunities in medical diagnostics, however, there are no standard sensors for endoscopes. Mostly, customized sensors with a production quantity under 50.000 pieces are not rentable in production due to high on-off-costs. The 2MP model FRA0261 with CMOS-BSI technology and with a chip scale packaging (CSP) of 4.1mm x 3.9mm, allows for endoscopes or camera modules with dimensions below 6mm and, at this size, are particularly suited for colonoscopes, mobile and reusable endoscopes used for colonoscopies. A pixel size of 1.4 µm x 1.4 µm, Full-HD resolution and a frame rate of 60 frames per second increase the image quality for the treating physician and improves real-time capabilities. In comparison to CCD technology, the small-size CMOS sensors are available for approximately half the current market price. In addition, FRAMOS offers the sensors as a “die” version with which endoscope manufacturers can install the sensor for a better angle of sight based on optical requirements, in any position, for instance vertical or tilted. With the powerful 2- or 4-lane MIPI interface, only a few cable connections are required between the sensor and the control unit. The FRA0100 model (in development) with 1MP resolution and a 3mm x 3mm CSP is particularly light and suitable for round small-size endoscopes used in cardiovascular surgeries. The 1000 x 1000 pixel resolution is achieved due to the small pixel size of 1.75µm x 1.75µm. “With both sensors, we cover the need, with respect to reusable sensors which are required in smaller quantities and therefore fall below the radar of the large manufacturers or which would incur costs in individual developments. FRAMOS thus offers a quality adapted to the needs of the medical technology field and a long-term, stable supply at a reasonable price.” says Krepil. Furthermore, FRAMOS works on a disposable sensor which delivers high resolution images for a single-digit dollar amount. FRAMOS implements the “small, high-performance sensors at a cost-effective price” principle in every sense with its development know-how and purchasing competence. The miniaturization of the embedded imaging systems is supported by transmitting the data via thin wire pairs via serial LVDS interfaces, light diodes ensure good lighting at low power consumption levels and make it easier for the treating physician to control the endoscope. According to branch studies, the single-use or disposable market in particular is growing. The decisive advantage is in the elimination of so-called cross-contamination, ergo, the transmission of infections between two patients due to insufficiently cleaned endoscopic devices. “Framos in-house competence is based on 35 years of sensor experience and more than 12 years of development and application experience in medical projects. Furthermore, our expertise flows into our own technologies and systems for the medical field. Since all components are available long-term and can be purchased reliably, we are able to cover the needs of the medical device industry from sensor to system,” says Krepil. Diagnostic endoscopy is one of the most important areas of use for imaging in the medical technology field. Endoscopes are an essential tool for examining patients’ internal organs. 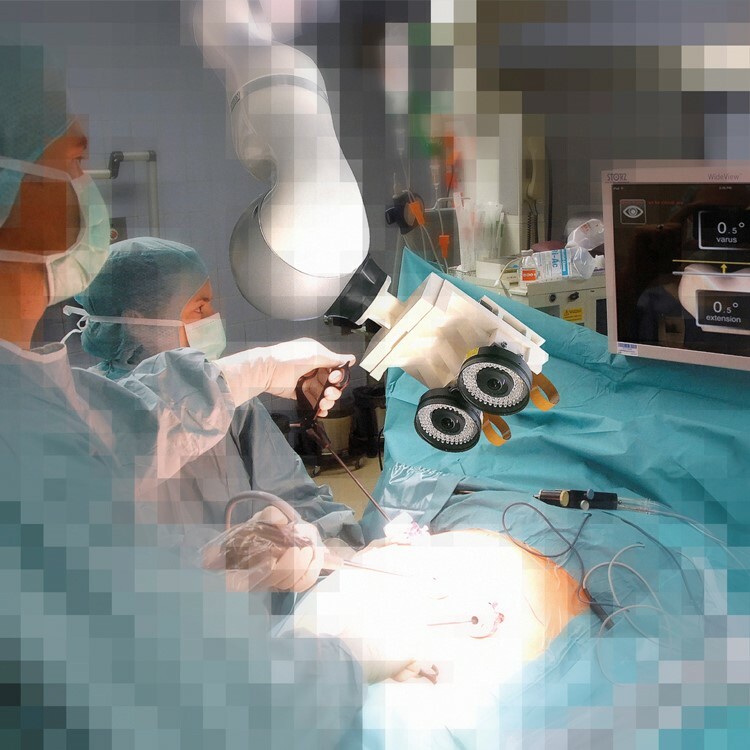 Whether ENT, stomach or intestine, image sensors and cameras detect more than the human eye can see and provide more precise, faster and more valid results by means of objective medical data analysis.